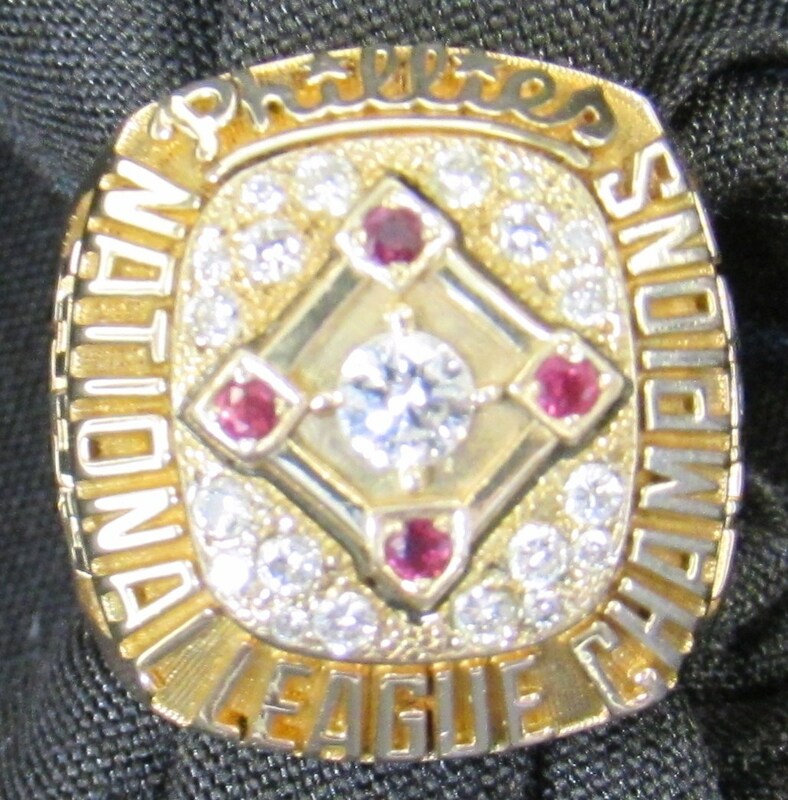 John Tudor 1993 Philadelphia Phillies National League Championship ring. Sharp ring with a baseball diamond on the top face has ruby red stone accents at each base and a diamond in the center. 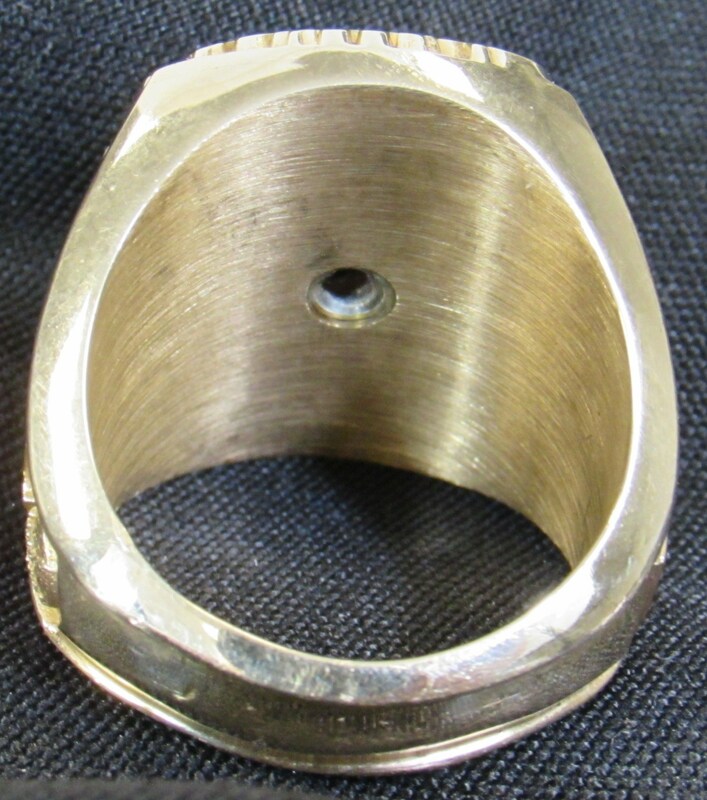 A total of (20) small diamonds comprised the background against which it is set. Lettered around the edge, "National League Champions" with "Phillies" at the top in logo style font. 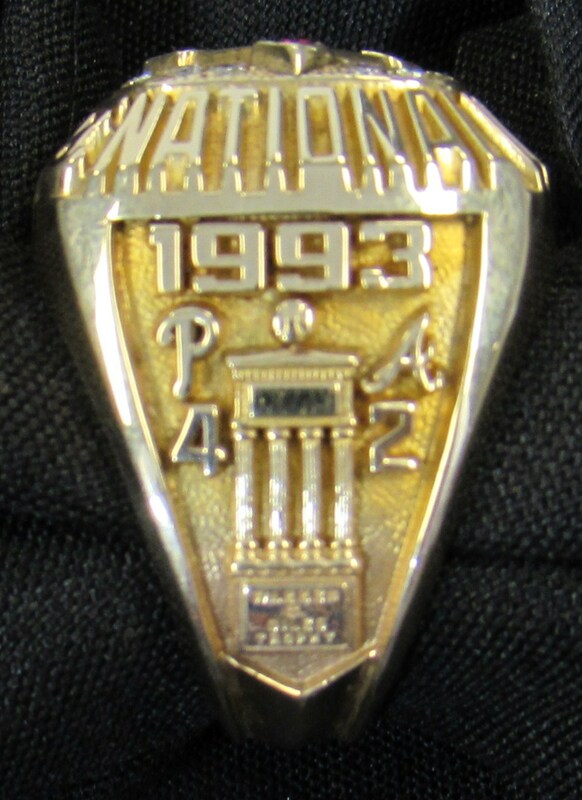 Left shank has year "1993" in relief at the top with National League Championship trophy below and series scoring "4" to "2" below respective Phillies and Braves team logos. 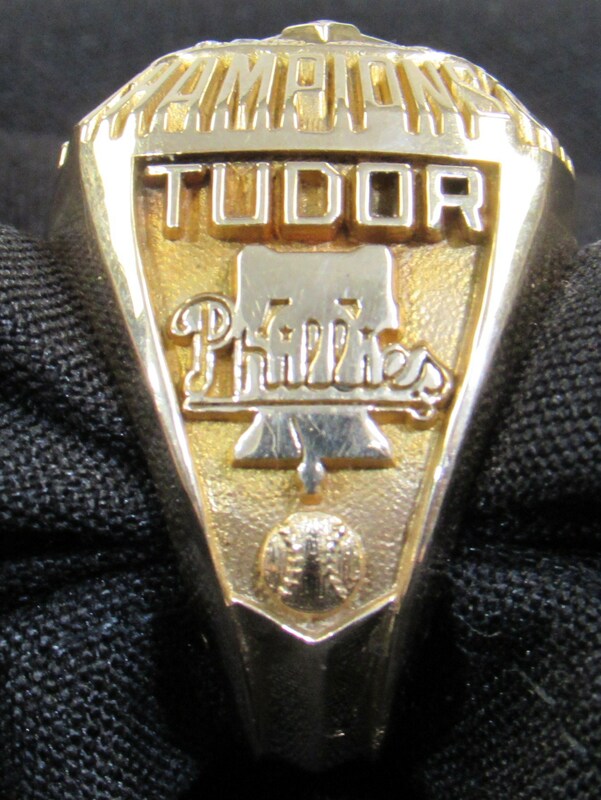 Right has name "Tudor" at top with "Phillies" Liberty Bell logo and a baseball below. Marked "10K" on interior band beside Balfour imprint. Ring displays nicely and shows light/moderate wear. 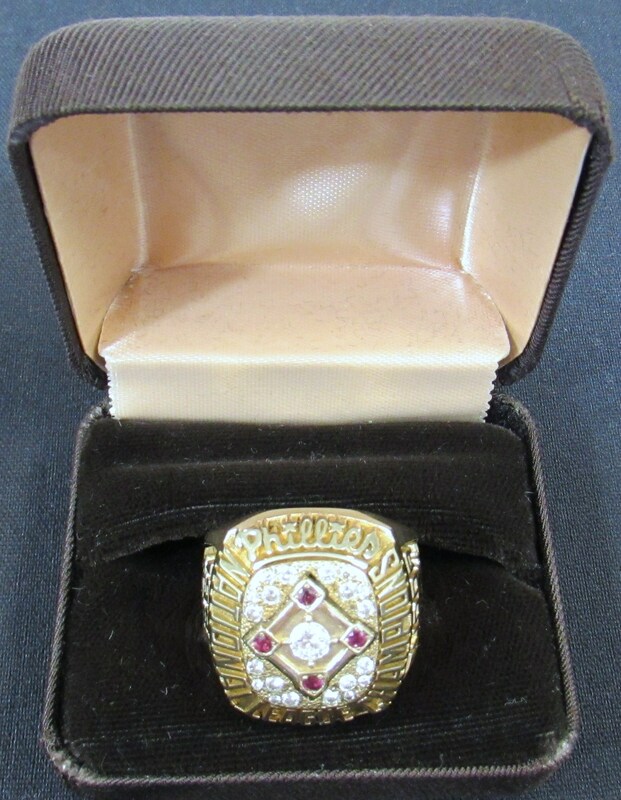 Includes letter of provenance from John Tudor. This lot contains a reserve.